Nagios: which can monitor critical IT components including system metrics, network protocols, applications, services, servers, and network infrastructure. It can also alert and report any system failure via email. IP Subset Design and Management for future expansions, take over and mergers. 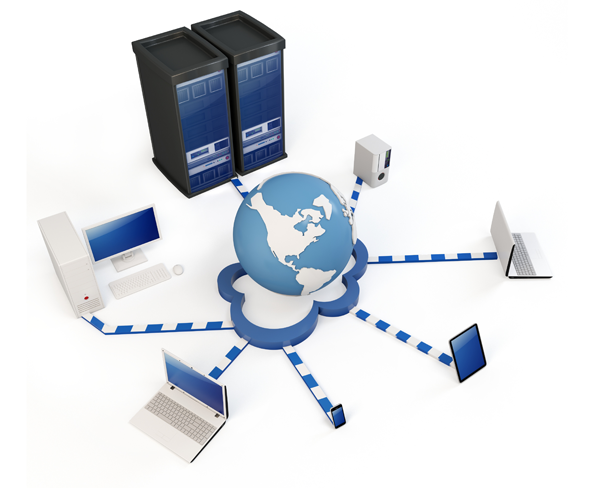 Cloud Computing to maximize the effectiveness of on demand computing resources . Reducing the cost of buying and managing the hardware and software. IP based Power Monitoring (UPS), sending alerts and notifications via email and SMS for any outrages. QoS Quality of Service – we can implement QoS services on your devices to improve the performance of your network by taking measures to reduce transmission errors, delays, packet prioritization, appropriate use of bandwidth and many other measures that ensure Quality of Service (QoS).